The SBom Multitap is a peripheral for the Sega Saturn released exclusively in Japan. It is a third party version of the Sega Saturn 6 Player Multiplayer Adapter‎ and it compatible with the same games. It was created by Hudson Soft and is designed to look like Bomberman's head. As with the Sega Saturn 6 Player Multiplayer Adapter it has extra controller ports which allows up to six people to play together simultaneously on compatible games. 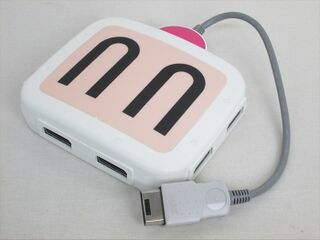 By using two 6 Player Multiplayer Adapters up to ten players could play in some games, such as Saturn Bomberman.